It’s getting colder in Illinois once again, and the holidays are about to arrive. However, while enjoying time off work or school, you shouldn’t forget that the chillier weather might also be damaging the roof above your head—a fact more likely to happen once snow starts falling on shingles. If your roof does get a beating from the winter weather, you should grab your chance to repair it the moment the winter season is over. When snow starts melting, it can get refrozen into ice instead of flowing down the gutters, creating ice dams. The thawing and refreezing can take a toll on shingles and damage them. The added weight of snow load due to ice dams can also cause stress on the whole roof structure—even if it is bolstered by durable asphalt shingles. While most asphalt shingles are manufactured with the latest advancements in weather- and wind-resistance, fire safety, and long-lasting performance, even the best of them can develop problems over time. The good news is that an asphalt shingle roof is probably the easiest type to repair, since curled shingles can be flattened and re- secured, and old shingles can simply be replaced. Plus, asphalt shingles make the warning signs of a serious roofing problem readily perceptible. Some of the signs of damage on your asphalt roofing could include cracks, dings, dents, and discoloration, as well as leaks and water stains inside your home. Bilotti also writes that if your shingles aren’t severely damaged, you can simply add a coat of asphalt roofing cement over it to seal or simply replace it. Depending on the situation, asphalt shingles can be laid one on top of the other, which means that you might not have to rip out the old shingle if it isn’t as damaged. However, if damage is severe, you might need to call in Evergreen or Tinley Park, IL roofing professionals like Rogers Roofing to figure out your options. 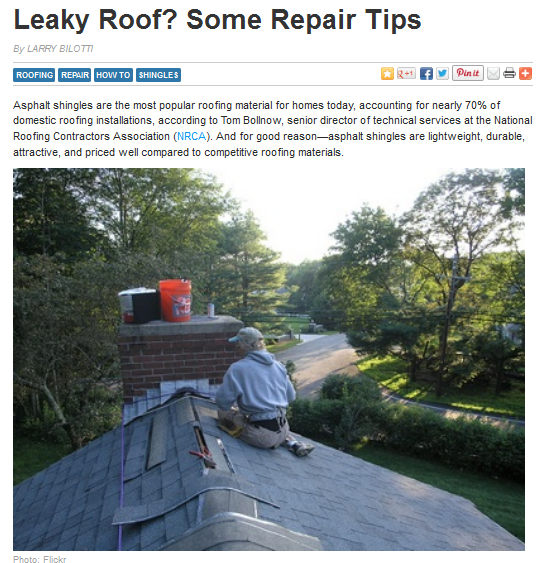 A professional can either recommend doing repairs or a replacement job. While a repair seems more attractive because of the price difference, a replacement can be an opportunity to upgrade to a roof that uses more durable materials like concrete tiles. Although they are more expensive, concrete tiles are made for heavy duty and can guarantee a long time of protection. That also makes them a suitable material for roofing in Evergreen Park, IL and other neighboring areas.